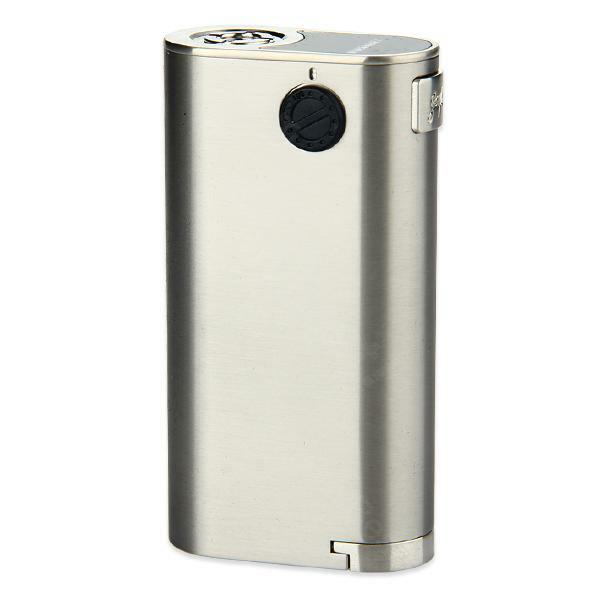 Simple but functional, Noisy Cricket II-25 supports various protections: atomizer protection, short circuit protection and low voltage protection as well as battery display function. This mechanical mod Noisy Cricket II25 MOD by WISMEC, supports various protections: atomizer protection, short circuit protection and low voltage protection. The mod is powered by replaceable dual 18650 batteries (not included). Simple but functional, Noisy Cricket 25 Mech mod is featured with battery display function, you can know the battery quantity by checking the button light. You can also choose the series and parallel circuit by simply turning over the circuit board. Power On/Off: Push the bottom cover and take it away, put two cells into the battery body. Press the fire button 5 times in quick succession, the button light will flash 5 times to indicate that it is ready for use. In the same way, it can be turned off after 5 seconds. Battery Display Function: The button light will stay lit or flash slowly when the battery quantity is high. On the contrary, the light will flash frequently. Charging: Please take out the cells and charge through external charger. Alternative Operating Mode: Under Cells in Series Circuit Condition, two modes are available: Direct Output mode and Constant Voltage Output mode. When powered off, long press the fire button for about 5 seconds to shift between direct output mode (white light) and constant voltage output mode (orange light). Release the button to choose the current mode. Voltage adjustment: By rotating the voltage regulating switch under series circuit condition, the output voltage can be adjusted from 2V to 6V. • It doesn't include any 18650 battery cell. Please use cells with discharge current above 25A. mod has direct output and constant voltage output. Great! gladly, the modcame in one piece. Loved it! I was surprised and amazed by this mode. First, simple size. Second, incredible power. It's totally a beast! easy to work and well made and priced.